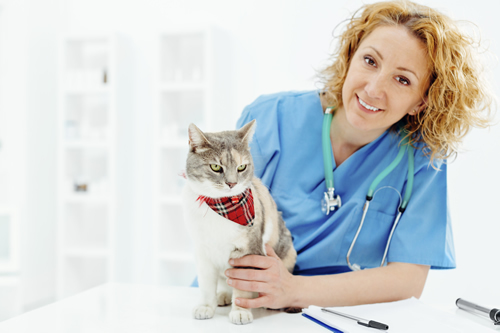 CATNIP is a clinical research trial which will test whether an experimental drug called AMG 157 given with cat allergy shots will help the cat allergy shots work. The researchers want to see if after just one year of treatment, which is less than the 2-3 year standard therapy for allergy shots, relief will continue for at least one more year after stopping both medications. AMG 157 is an antibody, like the ones your body makes when you have an infection. This antibody has been made in a laboratory and is like other medications that have been developed to treat arthritis and allergy by decreasing inflammation. AMG 157 is an experimental drug. Study participants will be randomly assigned to receive the experimental drug, AMG 157, or a placebo (an inactive drug that looks like the experimental drug). Neither you nor the study team will know which drug you are taking. The study schedule will include screening and baseline appointments followed by dosing and maintenance phases that will last approximately 1 year. Then participants will stop taking any drugs and be followed for 1 year of observation. As with any medication, there is a risk of developing side effects. Depending on the person, side effects can vary in both type and severity. Before you decide if you would like to participate, the CATNIP study staff will discuss all potential risks and benefits. All study-related care and treatments are provided at no cost. Participants will be reimbursed for travel expenses and receive compensation for study visits during the course of the trial. CATNIP is being conducted by the Immune Tolerance Network and sponsored by the National Institute of Allergy and Infectious Diseases (NIH funded).